 The OMB Education Foundation is a 501(c)(3) non-profit organization dedicated to educate, foster and stimulate interest in the construction industry. The OMB Education Foundation offers scholarship grants to college or vocational/technical school bound students intending to pursue studies leading to a career in the construction industry. This year, the Education Foundation awarded over $13,000 in scholarships to seventeen students, throughout Thurston, Lewis, Mason, Grays Harbor and Pacific Counties to assist them in financing their education. Congratulations to the following The 2018 Lewis County SCHOLARSHIP RECIPENTS! On the weekend of April 20-21, nine students at Centralia High School won SkillsUSA state championships and are now qualified for the SkillsUSA National Competition in Louisville, KY in July. SkillsUSA is “a partnership of students, teachers, and industry working together to ensure America has a skilled workforce,” according to SkillsUSA.com. On May 16th, 2018, Mitchell Smith and students of the SkillsUSA program from Centralia High School, gave an information presentation at the May chapter meeting of the Lewis County Olympia Master Builders. They updated the membership on the details of their State Championship and discussed plans to attend the SkillsUSA National Competition in Louisville, KY in July. Determining the need to support these students and the program, Kelly Jensen from DJ’s Plumbing, suggested the Chapter pass a bucket around the table for donations to help send these kids to the National Competition. With the approval of Chapter President John Johnson (Johnson Custom Homes) the bucket got passed. The Chapter ended up raising over $1600 at the meeting, in which 100% of the donations will go towards the competitors and pay for their costs to compete.  Along with these generous donations, OMB President, Karen McClennen and the Lewis County Chapter President, John Johnson pledged additional funds from Olympia Master Builders as well. On behalf of the Olympia Master Builders and the Lewis County Chapter, we congratulate those competing in Kentucky next month and wish you luck. You make Centralia proud! This month OMB Lewis County Member Spotlight is on Becky Carver from Prime Lending in Centralia. Becky has been an active member of OMB Lewis County for over three years and has been a celebrated resource for home lending needs in the Lewis County community. When you are in the market for a new home, ready to refinance your existing home, or perhaps need to make some renovations or repairs, call Prime Lending at 360-338-7992 or email Becky at bcarver@primelending.com who is ready to assist with all your lending needs.  To learn about membership or for a complete list of Lewis County OMB members, please visit omb.org. Many of the latest trends in remodeling, focus on modernizing a home while maintaining key elements of its original design to preserve its vintage charm. Modern building techniques used during renovations can easily transform an 80-year-old residence from a cramped abode into an expansive estate with a large kitchen, an adjoining great room and outdoor pavilion, as well as an all-new master suite with latest state of the art technology. If you’re thinking about updating or remodeling your home this year, here are a few simple and affordable approaches to modernizing your home without losing its original charm. If your home has vintage or historic elements that add character but need to be brought back to life, talk to a professional remodeler to see if they can be salvaged or refurbished. For example, restoring ironwork of a staircase or repainting an existing front porch can add beautiful and economical solutions to maintaining the original design. Energy efficiency should be a key component of every home remodel project or in just simple home updates. The home’s top-rated green building certification was made possible by incorporating state-of-the-art green and sustainable building products like spray foam insulation, high-SEER air handlers, automated LED lighting, and a full array of energy-efficient appliances—all of which enhanced efficiency without diminishing any of the vintage charm. When planning your remodel or home updates, a professional remodeler can identify ways to integrate the latest strategies in energy efficiency that will compliment your home’s original design. Not only is it good for the environment, but you will also save money through lower heating and air conditioning costs and smaller monthly water bills. Whether you are updating, remodeling or just looking to spend less, make sure to check out OMB member Puget Sound Energy’s valuable rebates and offers to save on energy efficiency upgrades to your living space. The more energy-efficient your home becomes, the lower your bills can get, and the more return on investment if you consider selling anytime soon. For the interior, the style of the finishes you choose is equally important. For example, choosing new wainscoting can create a more open feeling to your home, but it is important to make sure to choose a traditional style that fit seamlessly with the original style of your home. Similarly, new light fixtures with antique designs can marry new, green technology with classic, vintage design. And your choice of flooring can have a dramatic impact on your home’s overall character. One of the easiest ways to modernize your house is to turn your home into a Smart Home. It seems as if most homes you walk into now has some feature of smart home technology. Where as, wireless speaker systems and smart thermostats have already because a staple for many homeowners, there is a never end list of new and upcoming “toys” available to integrate into your update or remodel that make life in your home easier, safer and just plain fun! There is very little that can’t be done with smart phones and handheld devices, so it’s no surprise that innovative technology has connected the smart phone with the smart home. Progressive items like Z-Wave Locks allow you to lock and unlock doors with the tap of a finger and a swipe up and swipe down on your smart phone can open and close your garage door with a wireless garage door opener kit. And who hasn’t left home once or twice with the panic that you may have left the curling iron plugged in or coffee maker on? Wi-Fi-connected electrical outlets make it possible to turn on and off your outlets from your device. If you’re looking to renovate your home, give yourself permission to be picky about what materials and fixtures you choose. Invest in things that are functional and well-made but that don’t detract from what you loved about your home in the first place. Think about updating the exterior with new materials that look vintage, always consider going green wherever possible and have fun with the technology available on the market. 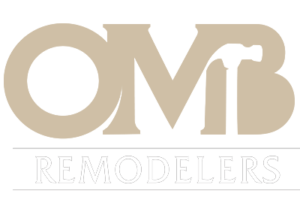 To find a full directory of local remodelers in the Lewis County area, who can help update your home and keep its original charm, visit omb.org today! Established in 2015, Eli’s Paver Patios is a family-owned and operated paving stone installer that has been an active member of the Lewis County OMB since 2016. With over 15 years of experience, Eli’s Paver Patios is guaranteed to give you the hardscape of your dreams. Because Eli’s specializes in paving stones, they are able to stay up-to-date on the latest installation techniques and provide quality paving stone installation in the South Sound and Southwest Washington. If you are in the market for a new patio or have any upcoming paver projects, contact James at (360) 388-6223 or visit their website at www.elispaverpatios.com.